Mackenzie was retained by the City of Lake Oswego to design a roadway safety improvement and stormwater drainage system for West Bay Road and Virginia Way, design pavement sections for West Bay Road and Virginia Way, and work with the adjacent neighbors to determine issues they had regarding stormwater and street problems. Throughout the design phase, Mackenzie engineers worked closely with Lake Oswego staff to adapt and modify City standards and still meet project goals. 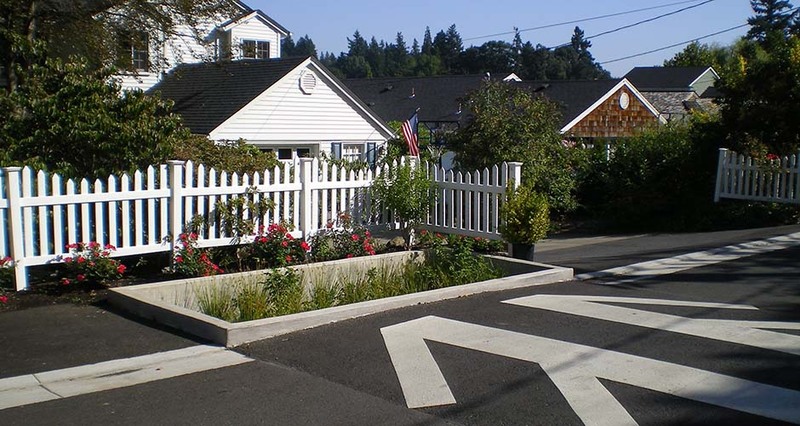 The re-design of this residential street utilized green street solutions, providing water quality and reduced flow on private property within a compact right-of-way width. 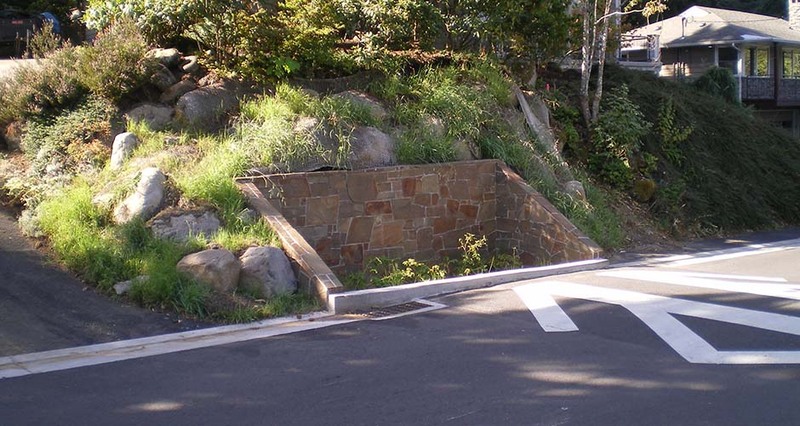 Following substantial public involvement in the design phase and through construction, Mackenzie provided additional aesthetic treatments to several stormwater planters at residents’ request.